To work entitled The rafter of the Medusa reveals a dialectic,playful Inquiry concerning the meaning of the destination. 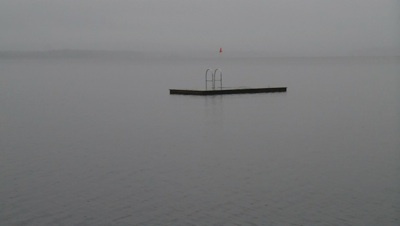 The 10 minutes video documentary functions as a poetic standby metaphor for a metaphysical departure. With essential reference the work of T. Gericault (Le Radeau de la Méduse) the journey finishes at the end of matter. 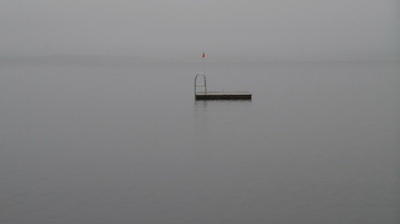 They float resignedly on a raft, seceding gradually, All go and vanish, even the landscape. The raft twirls rudderless. The locus is the ephemeral vehicle and not the destination. There is no background only expectation for the beyond. The entire project was first presented at the Hellenic American Union in 2011 entitled "Intake ¨ (curated by S. Bahtsetzis). In 2012 Gallery Elika, Athens (curated by S. Bahtsetzis). 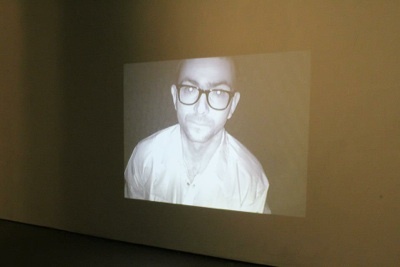 In 2012 in the form of video installation in Onassis Cultural Center in Athens. Theodoros Zafeiropoulos was born in 1978. Graduated from the School of Fine Arts, Aristoteleian University of Thessaloniki (2003). He participated in the Erasmus program in the University of Barcelona (2001). He graduated with honors from the MFA program of the School of Fine Arts in Athens (2006). He graduated and honored with the Paula Rhodes Memorial Award from the MFA program of the School of Visual Arts, New York-USA as recipient of the Fulbright, Gerondelis and Al.Onassis Foundations scholarships (2009). Participated in Skowhegan School of painting and Sculpture (2009). He has presented 4 solo shows and has participated in various international group shows, residencies and projects. His works belong in many public and private collections in Greece and abroad. He is a current PHD candidate in the School of Architecture, University of Thessalia, (2009). He is a current resident artist in the USF residency program in Bergen, Norway. In 2013 he was selected to represent Greece in the 16th Biennale of European and Mediterranean Young Artists entitled “errors allowed” that will take place in Ancona, Italy. Lives and works in Athens and NYC.